This is a much needed face-lift on one of my first ever DIY projects (click here for original post, its boring, you've been warned). 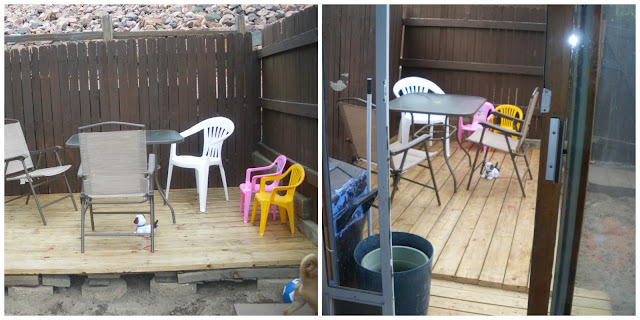 I'm sure its not unusual to "play it safe" when one first starts out with DIY home renovation/decoration. This original post is a solid example of that! 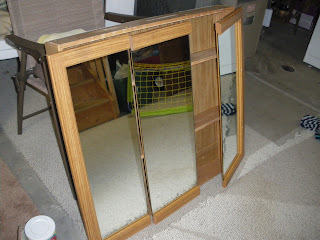 When we bought our town home it had these lovely, gorgeous, 80's style bathroom cabinets. I know, you're jealous and wish you had them, too. Just kidding. They're ugly & out-dated but structurally sound. It seemed a waste to toss it out. 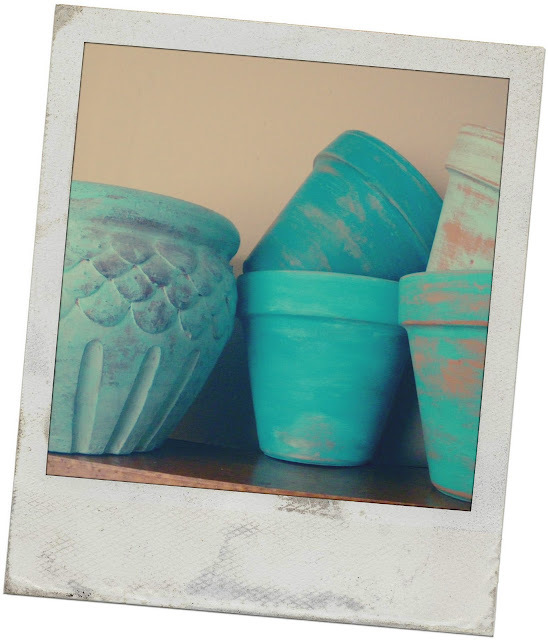 Click Here for a great tutorial on wet distressing by Paintbrush and Pearls. 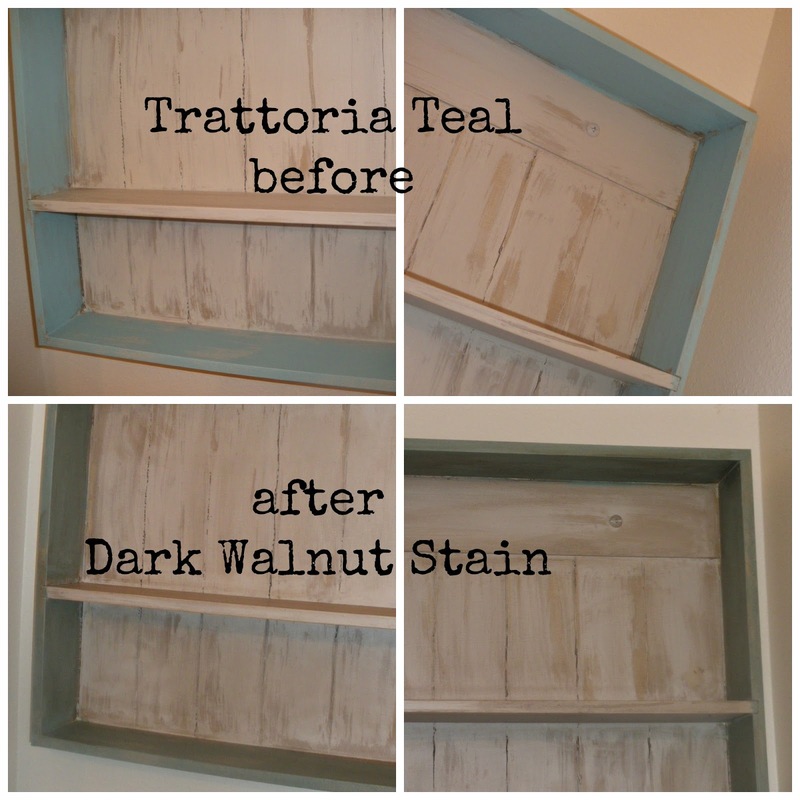 To achieve the desired color was a too step process: coat one was home made chalk paint in Trattoria Teal. I've used this color in several projects recently: fence-pieces-to-bookshelf and turquoise-dining-chairs. It takes on a greener hue when coated with Dark Walnut Stain, another look I'm favoring as well, which was step two. In addition to coating the edges with stain, I also lightly wiped it over the faux-wood planks in random spots. It added dimension to the color. 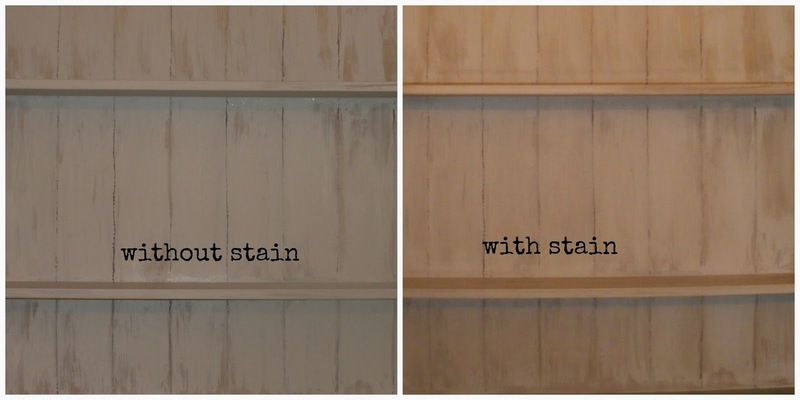 application of stain in random spots. VAST improvement with a little bit of paint & stain. After curing it will be sealed with polycrylic. 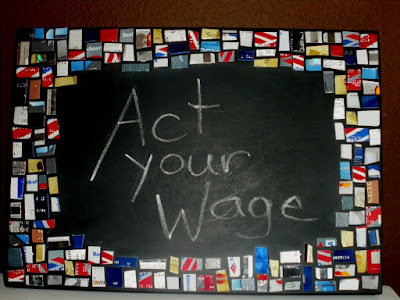 Featured via The Kolb Corner for Merry Monday. And featured here at Art is Beauty Be~YOU~tiful party. Your shelf looks great! 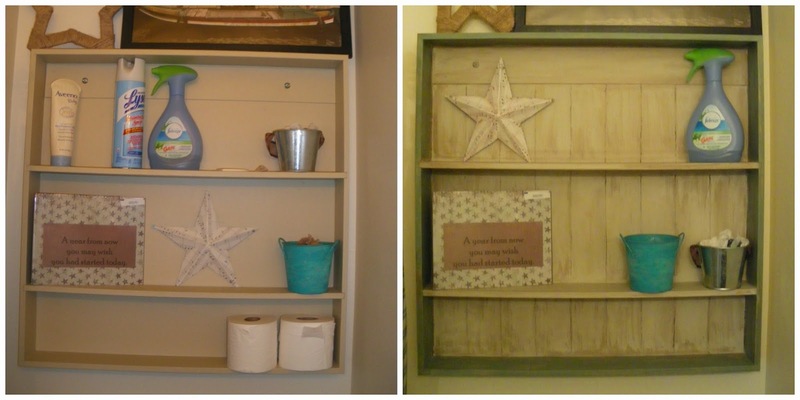 The faux planks and antiquing give it a totally different vibe. Good job! So glad you shared with us at Merry Monday. I'm already looking forward to your creativity for next week! Fabulous! Nothing is more satisfying than glamming up something you already have around the house. I loved your post over at Hello, Darling, btw. I love that look! I got a Dremel Micro for Christmas and I can't wait to use it. I'll be featuring this post on the Merry Monday Link Party tonight at 6 PST so be sure to check it out! Whaaaaaaaaaaaaaat??!! This is so awesome! What a wonderful way to reuse something. I have one of those in my 1/2 bath and I was going to throw it out when I redo that room but I'll be rethinking that decision for sure now! I think I will have to try the faux plank. Love it! WOW!! This is a great project!! Love the new finish on it!! I also left out decorations and light them every night for Winter!! Thanks so much for Dropping buy! !